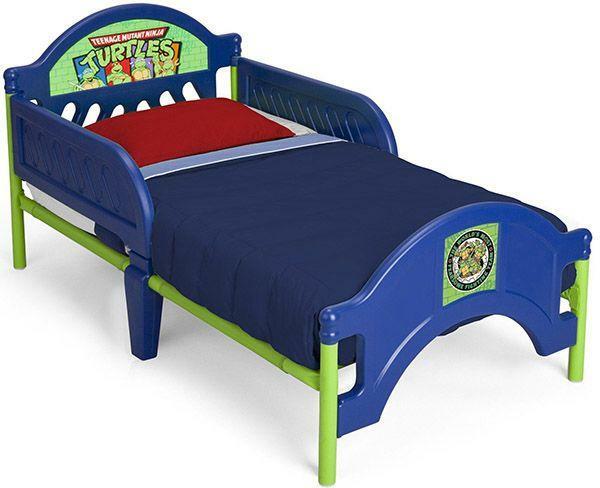 Make the transition to a big kid bed totally tubular with this Ninja Turtles Plastic Toddler Bed from Delta Children! 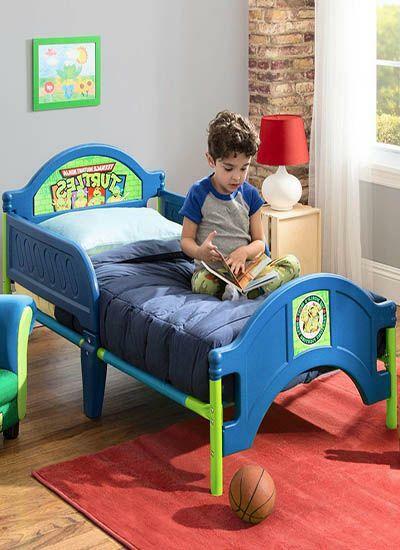 Both practical and playful, it features sleep rails at both sides and colorful decals at the headboard and footboard. Completely kid-friendly, it sits low to the ground for easy ins and outs, and is built from sturdy plastic and steel, so it will withstand years of use (and abuse! ).